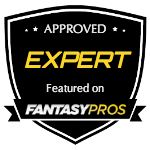 Roundtable forum piece for Fantasy Football Help Desk.net can also find them at @FFHelpDeskQuestion 1 - Fantasy football players are well aware of the top rookies for 2012 such as Richardson, Martin, Wilson, Luck, Griffin, Blackmon, Floyd and Fleener. 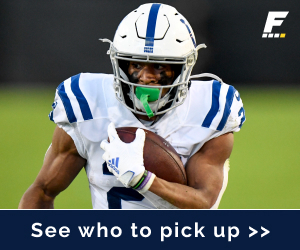 So, who is your rookie sleeper for the fantasy football season at each position? And why? Brandon Weeden of the Cleveland Browns is my QB rookie sleeper. He has LT Joe Thomas, RB Trent Richardson, WR Greg Little, two serviceable TE’s in Benjamin Watson and Evan Moore along with WR Josh Cribbs lining up everywhere. In a run heavy division I like this situation better than Ryan Tannehill’s in Miami, that’s even if Tannehill is the starter over Matt Moore. Weeden isn’t going to be asked to do the heavy lifting; Cleveland’s first, first round pick Trent Richardson will be doing that and teams will be stacking the box to contain him, giving Weeden opportunities to make plays and move the chains. I foresee Richardson giving Weeden manageable 3rd downs, thus allowing Weeden to extend series. When you’re digging through the rookie Qb’s for a sleeper, on paper Weeden is the guy. When looking for a sleeper in the RB ranks, I was looking for touches and opportunity; no one seemed to be better positioned for that than David Wilson of the New York Giants. With the departure of Brandon Jacobs about 40% of the RB touches are up for grabs. I don’t see DJ Ware, Da’Rel Scott or Andre Brown (Suspended first 4 games) standing in his way. In fact, I could see Wilson getting the early down work with the Giants trusting Bradshaw in pass protection and limiting his between the tackle contact. With that said, the gravy on this sleeper pick is that Wilson is surely to start a couple games with Bradshaw’s recent foot injuries. Bradshaw missed 4 games last year and is labeled an injury risk in some circles. Wilson at RB is my rookie sleeper and handcuff to Bradshaw. Picking Kendall Wright of the Tennessee Titans for my WR sleeper was pretty easy. I went for the guy with the best QB and situation. Matt Hasselback will start week 1 and will continue to barring a poor start or injury. The situation is good for Wright as well with Kenny Britt coming off ACL surgery and he recently underwent a cleanup procedure that puts him out another 10-12 weeks. Even if he is “ready” for week 1, he will be eased back. Wright in the slot and big play ability after the catch presents huge upside. He also should be used a couple times a game deep, at least to just keep the safeties out of the box as they will be trying to defend Chris Johnson. Ladarius Green of the San Diego Chargers may seem like the obvious choice to some and not so much by others. I think the reasons some folks might not consider him a sleeper are the reasons why I like him. Obviously SD has a top flight TE in Antonio Gates, but he hasn’t played a whole season since 2009 and the other TE’s on the roster don’t compare to Gates and Green’s athletic ability (Randy McMichael and Dante Rosario). With the departure of Vincent Jackson and Mike Tolbert, the Chargers are one Gates misstep from being in a world of hurt. With a lot of teams implementing two TE’s I can see Chargers pressuring defenses with 12 personnel (1 RB 2 TE 2WR) Mathews in the back field, Gates and Green inside with Floyd and Meacham outside. 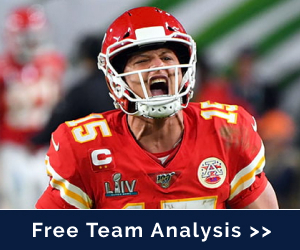 With Rivers at QB that’s a line up I want a piece of and when looking at rookie TE sleepers? Green is my guy! I love the potential here for Tampa Bay Buccaneers weak side backer David. In a division that is both strong at QB and RB, the plays are there to be made for David. In addition to playing the run and coverage; look for TB to use his speed to get after the quarterback with the loss of Bowers to Achilles. Chandler Jones of the New England Patriots is another great dual threat. Because of his versatility at both a down lineman and also a stand up pass rusher who can drop into coverage against TE’s; means he will be on the field more and that means more opportunities. Hard to call Chandler Jones who was a first round draft pick a sleeper, but I feel that his actual production will far exceed other DL rookies. Question 3 - Which 1st Round Draft Pick you see as most likely to be a fantasy football bust? I know everyone is ready to hand Doug Martin aka the “next Ray Rice” the starting job over LeGarrette Blount in Tampa Bay, but I don’t quite see it that way; yet. The story is out on Blount, he can’t be that receiving threat on 3rd down and that’s supposedly the reason they selected Martin, to be the complete back. However, with the addition of Carl Nicks and the rest of that beastly O-line the Bucs are still going to run power. Taking Blount out of the game tips pass protection and I think with Vincent Jackson in the fold the ability to play action is crucial with Blount in the game. 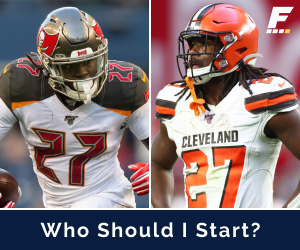 I’m not knocking Martin as a talent and thus a fantasy bust, but based on the word that he is going to come in and be the saving grace to the Bucs ground game; I just don’t see it - yet. With no real pass rush in the pre-season it will be hard to see what Martin brings in pass protection too.